It’s the Insurance Times Awards, December 2011. The speeches have been made, gongs distributed and dinner devoured when a rather inelegant battle breaks out between Aviva GI boss David McMillan and broker boss Janice Deakin. The issue? Which of the two is the rightful owner of Aviva’s bag-full of awards. McMillan comes up with a cunning ploy of dancing with the plaques between his feet, though Deakin is determined to reclaim them, and history does not recount who won the battle once back at HQ. It was all a bit of fun, but it’s a neat example of the spirit that characterises the Aviva top team these days. For a year or two now, they’ve been on the up - and they’re not afraid to enjoy it. So today, McMillan is smiling broadly as he marches into the lobby to personally greet Insurance Times. It’s results Thursday, and while the group has taken a battering from unrealised investment losses pushing its global profits down 96% year-on year, McMillan’s shop is doing nicely, with profits up 7% and combined operating ratio holding steady at 96%. McMillan lets the occasional flash of humour show through his generally guarded demeanour. He’s friendly, professional, but clearly a little bit wary of the press. It’s understandable when the start of his tenure was dogged by questions about Aviva’s controversial former boss Igal Mayer, and his own lack of profile in the broker market (he was chief operating officer for a little over two years before being made chief executive of GI in January 2010). But the past two years speak for themselves, and McMillan can afford to relax. So let’s summarise the main themes today: profitable growth in personal lines, and particularly in the intermediated space; seeing the benefits of transferring pricing sophistication from direct to intermediated business; focus on the regions; and growth in corporate risks. “We’re feeling good about the overall results,” he says, “and about the momentum in the business. A lot of things that started as green shoots are starting to …”, he pauses, losing the script briefly, “… starting to sprout,” he concludes, with a smile. He’s keen to point out a fall in customer complaints and a rise in employee engagement. What does he put that down to? “We’re doing a lot more than we ever have before in terms of getting around the business and talking to people.” This is arguably the trait that distinguishes Aviva’s top team today from that of three or four years ago - they’re a bit more humble, internally and externally, and want to listen to the market rather than dictate. Meanwhile, the business is firmly back in profitable growth. Aviva’s overall profitability, like that of its peers, masks a disparity between personal and commercial lines. 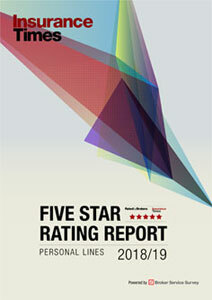 Personal lines is posting a profit at 91% COR, while commercial lines is still making a loss at 105%. 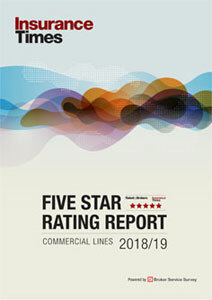 The commercial results will be significantly better this year, McMillan reckons, thanks to rate rises across the board in commercial motor and action the insurer has taken on schemes and other drags on profitability. The market remains soft, though, and there has been little positive movement in rates on commercial property and liability. But McMillan suggests reinsurance rates could be on the up this year, following 2011’s string of cat losses, which would have a knock-on effect on the primary market. Is this commercial success down to his leadership, or is the business just riding on the back of the market? “It’s a bit of both,” he says candidly, referring to how Napoleon, when asked if he preferred courageous or brilliant generals, would reply that he preferred lucky generals. Not everything can go right, and McMillan admits that, with hindsight, he would have taken action to develop Aviva’s commercial e-trading capability earlier. The business has also been challenged by the high-profile departure of Mark Hodges to Towergate last year. McMillan admits it was a surprise, but adds “life goes on - no one is indispensable”. Indeed, the business has carried off Hodges’ surprise exit with aplomb. His successor, Trevor Matthews, was announced at the same time as this departure, and while he is low profile, certainly within the GI market, he is also seen as a safe pair of hands. Indeed, this very lack of visibility arguably gives McMillan the opportunity to build his empire, though he says there are no top team reshuffles on the cards, and sternly refuses to be drawn on the subject of his own ambitions. Aviva has learned its lesson since courting controversy under Mayer and losing half a billion in premium as a consequence. There will be no private battles played out in public under McMillan, and he politely but firmly bats away any opportunity to stray from the party line. Success in 2012 means more of the same: building an SME and commercial business that’s ready for the next five to 10 years in terms of trading changes, with a focus on six regional hubs; growing corporate risks; integrating the Irish business; and growing the retail business. “We’ve got quite a lot of big tracks laid out for us - unashamedly - and if we follow those over the next three or four years, we’ll continue to go from strength to strength,” he says. It’s not a strategy to grab headlines, but it may just lead to a few more nights out on the tiles celebrating Aviva’s success. Market view: Aviva has reshifted its business in the last three or four years towards independent and regional brokers and is now reaping the benefits. It’s the strongest in SME but faces renewed competition from AXA and RSA.